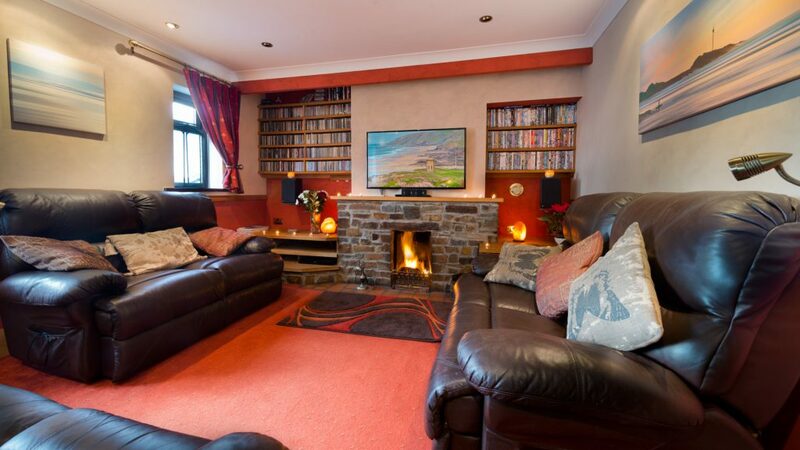 The Beach Haven at Bude is a luxury, dog-friendly, holiday cottage (Cornwall) in the seaside town of Bude. 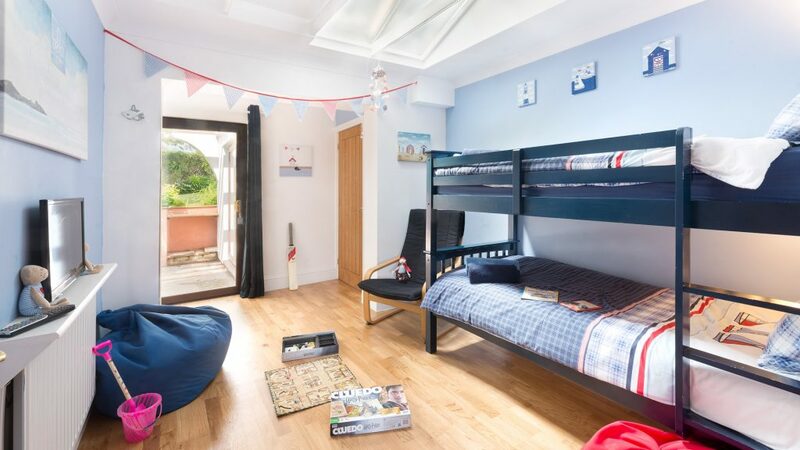 It is ideally situated just ten minutes stroll to the beaches, National Trust clifftops and town centre. 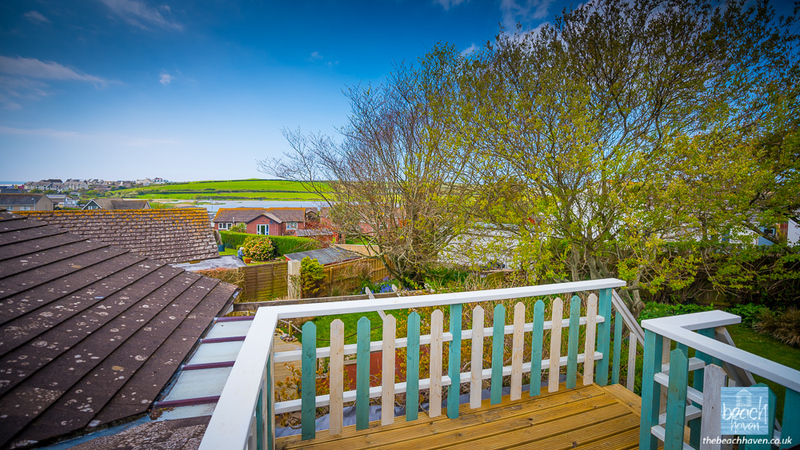 In addition to the well-appointed interior, there is a lovely, mature, tree-lined garden and a sun-trap decking area. 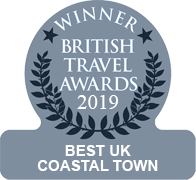 Sleeping up to eight people plus a cot (but priced for four persons out of the main season) it is perfect for multi-generation family gatherings or for a couple of families wanting to take a holiday together and benefit from reduced costs. 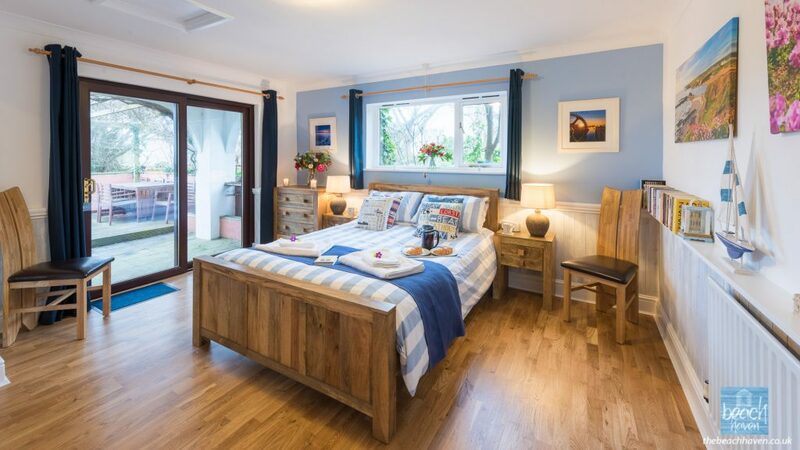 Being a bungalow, The Beach Haven is ideally suited for the elderly or disabled and we can also organise the hire of a Mobility Scooter ready for your arrival if desired. There is space on the drive for two cars. 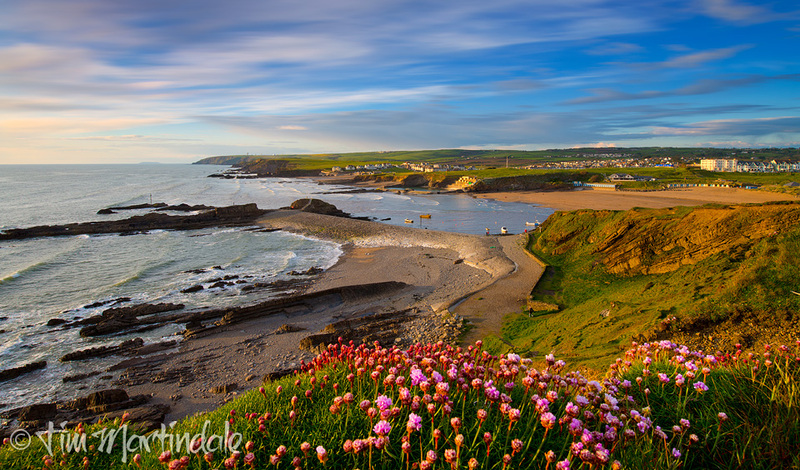 What does The Beach Haven at Bude offer? 55″ 4k Smart-TV and soundbar with free Netflix and Spotify. 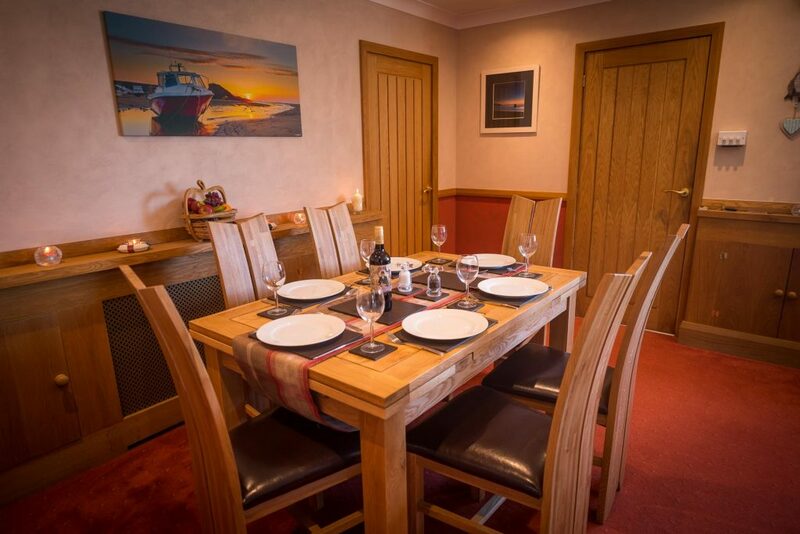 >> Check out our Special Offers on a holiday at The Beach Haven. 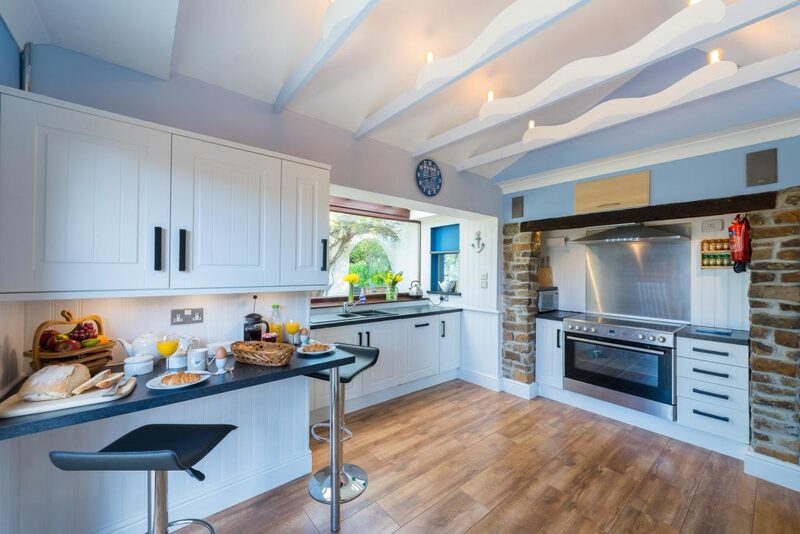 Self catering holiday cottages Cornwall are in high demand during the school holidays, particularly luxury properties that sleep eight or more. 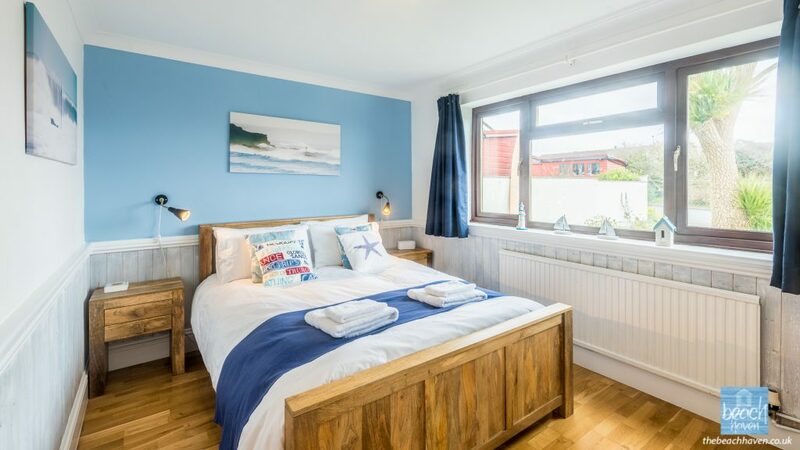 At the Beach Haven we appreciate that not everyone wants to pay a premium for a large holiday cottage in the quieter weeks so we have therefore priced these weeks as if it were a two-bedroomed property that sleeps four people. This makes it exceptionally good value for money all year round. Should you wish to bring extra people in these off-peak weeks, you are more than welcome to and we only charge a small premium per additional person. We love dogs and have made the Beach Haven as dog-friendly as possible. We will happily accept up to three dogs. We can even offer a dog-sitting service if required. Finlay, our golden retriever, is an experienced chaperone! 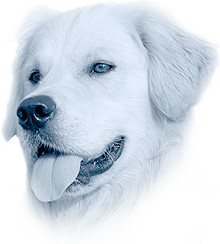 For more doggy details, check our dog-friendly page here. We pride ourselves on going the extra mile to make your holiday extra special. 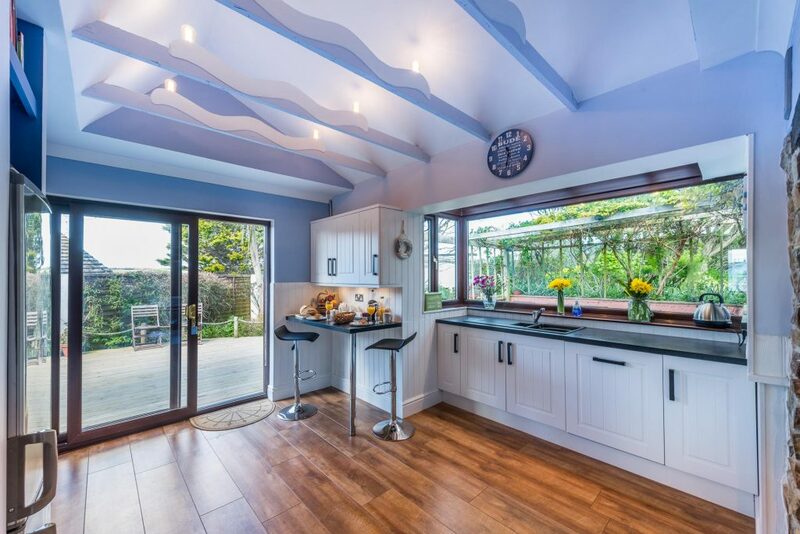 On arrival you will be greeted by a wonderful traditional, home-made Cornish Cream Tea and fresh flowers alongside a home-made cake; a bottle of wine in the fridge; tea; filter coffee and milk. A scuttle of coal and a net of logs is provided should you wish for a cosy first evening. Shopping can also be arranged for your arrival too. We want you to make yourselves at home and to start enjoying your holiday from the moment you arrive. Whether you regard it as a necessary evil or as essential to modern living – or both – the internet provides a vital service for work and leisure. 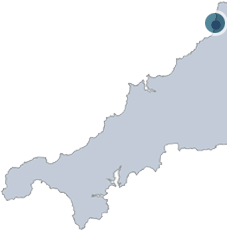 To that end we have installed the very latest and fastest fibre-optic broadband with wi-fi available throughout the accommodation. So if you need to send that important email or the kids can’t live without their online games, don’t worry, you’re catered for at The Beach Haven! We also have a 55″ 4k Smart TV with Premium Netflix and Spotify accounts so you can catch up on all your favourites programs!